Or view larger version. 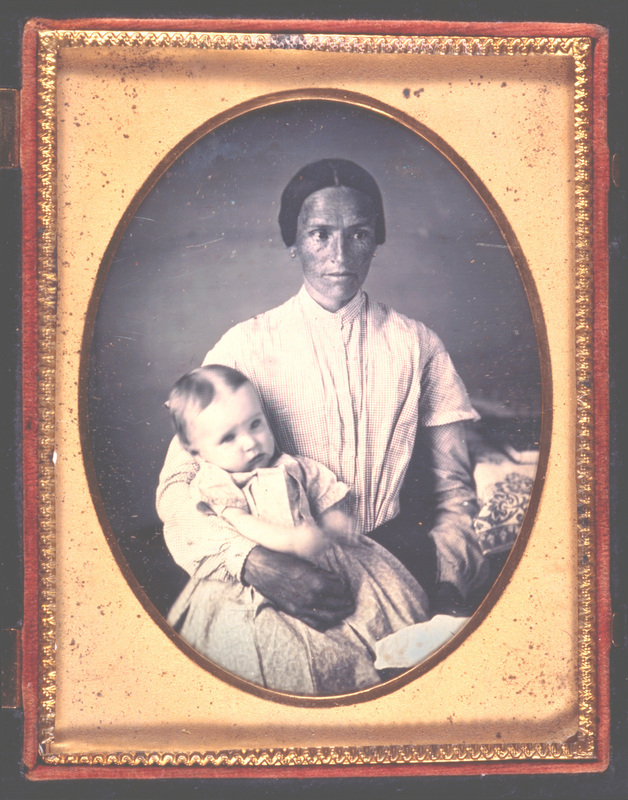 Sarah Anne MacDougal with Elizabeth. January, 1851. Unknown photographer. Daguerrotype. Collection of Oakland Museum of California. Gift of Joan Murray.